Thanks to a forum purchase from pux146, the Boosts and Contis have today been swapped for a set of Wolfs sporting KM2s. Should cope better now on the muddy foreshore where we sail and the black Wolfs look far better than silver Boosts in my opinion against the Santorini Black paintwork. Looks perfect Tony! Was a pleasure meeting you today. Glad you are happy with them. 😊 2007 2.4 90 fettled & remapped. +1 Very nice 1996 Golf Blue 300Tdi 110 Pick up. Keeper. How do you find them onroad? Grip in wet and noise etc..
A little more noise than the Continentals, but I only really notice it when off the power and the engine is quiet. But certainly not unreasonable. My XS SW does have full carpeting so this may help dampen down the road noise. I would say grip in the wet isn't as good. It is hard to judge without having two vehicles side by side to jump in an out and test round the same bends with same conditions, etc, but for me the steering doesn't feel just as precise. 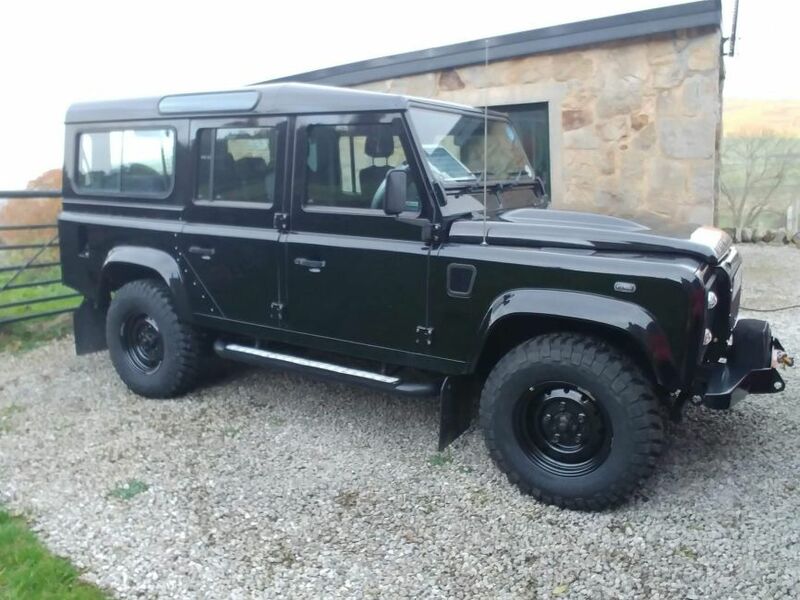 That being said, with the Defender, I am always mindful that I'm not driving a sports car, so I do take corners at a sensible speed and avoid sudden changes in direction!! I don't know if the extra weight and offset of the Wolf's would make any noticeable difference in handling to the Boosts either.